The mortgage process made simple - FHA Loan Search covers pre approval and underwriting all the way through loan closing in just minutes. Loans are provided by thrift institutions, mortgage companies, and credit unions. Homebuyers will be quoted different prices by different lenders, so it is advisable to contact several lenders when searching for a loan in order to get the best price. You can also contact a mortgage broker and enlist their services to find a mortgage. Mortgage brokers can typically offer access to a broader array of loan products and terms than you would find if you approached a lender directly. As with banks and thrift institutions, it is wise to contact several mortgage brokers when shopping for a loan in order to get the best rate. After determining your price range, it is best to get pre-qualified for a loan. This will facilitate the negotiation process and may give you an advantage over competing offers. FHA insured loans must be made through approved lenders. Ask the lender or broker for current interest rates. Be sure to consider how the current interest rates compare to other quoted rates for the day or week. Ask the lender or broker if the quoted rates are for fixed or variable-rate loans. Remember, interest rates on variable-rate loans fluctuate throughout the term of the loan and often result in higher monthly payments in the future (in the event interest rates increase). Be sure to ask about the annual percentage rate (APR). This rate reflects the effective cost of borrowing, as it also takes into account points, broker fees, and other credit charges required to be paid by the borrower. Points are fees paid to the lender or broker for processing the loan. Points typically have an inverse relationship with the interest rate (i.e., a higher interest rate may lower points charged, while a lower interest rate may increase points charged). Points are typically quoted as a percentage of the loan value. A point is equivalent to 1 percent of the loan amount. Be sure to ask the lender or broker to also provide you with quote as a dollar amount so you know how much you are actually being charged. Points can often be rolled into the total loan amount. Homebuyers are typically charged various other fees including: application fees; title examination, abstract of title, title insurance, and property survey fees; fees for preparing deeds, mortgages, and settlement documents; attorneys’ fees; recording fees; and notary, appraisal, and credit report fees. These fees are often negotiable, so be sure to discuss these with your broker or lender. As with points, fees can generally be rolled into the total loan amount. Some lenders require down payments as high as 20 percent of the home value, while others lend funds with as little as 5 percent down. If the down payment is less than 20 percent of the home value, lenders generally require the home buyer to purchase private mortgage insurance (PMI). PMI protects lenders from a loss in value in the event that the borrower defaults on the loan and is required until the homebuyer achieves an equity ratio of 20 percent. It is important to consider the cost of PMI insurance when estimating your monthly payment. 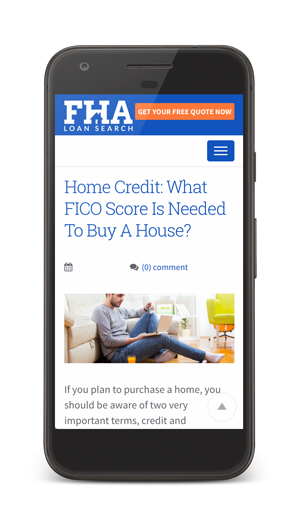 Look into any government assisted programs, such as those sponsored by the FHA, as these allow homebuyers to purchase homes with substantially smaller down payments. Good neighbor next door – Law enforcement officers, teachers, firefighters and emergency medical technicians can benefit from HUD’s Good Neighbor Next Door program. Through this program, HUD offers a substantial incentive for these individuals by providing a 50 percent discount on the list price of homes in revitalization areas. You can visit org for more details. Public Housing – A public housing authority may allow you to convert your rental payments into mortgage payments and sell off a portion of the public housing development for purposes of homeownership. You can contact your local public housing agency for more details. When shopping for a home loan, be sure to talk to your lender or mortgage broker about their requirements for the down payment. Also, discuss the impact of the down payment on the interest rate. When talking to your lender, always negotiate for the best deal. Lenders are given a certain amount of discretion in determining the amount they can charge. Often times, they will attempt to charge a higher interest rate with the hopes of obtaining overage. Overage is the amount that a borrower agrees to pay over the lowest acceptable price. You should ask the lender to write down all the costs associated with the loan. Once all the costs have been written down, ask the lender to reduce or waive one or more of its fees, or to charge a lower interest rate. This will also make it easier for you to compare the overall cost of borrowing from one loan to another. Once you have negotiated suitable terms, it is common to lock-in the rate. When you lock-in a rate, you will enter into a written agreement with the lender and the lender will guarantee a specific interest rate on the loan. Once an interest rate is locked-in, the home buyer is typically required to close the loan within a certain period of time (60 or 90 days). This will benefit you if interest rates increase after negotiating terms. Once you have been prequalified for a loan, contact your realtor to find a home. Your realtor will ask you what you are looking for in a home and present you with a range of options. You can also browse MLS databases online to locate properties available for sale in your area. Your realtor will assist you when it comes to making an offer on a home. Your realtor will also provide you with insight into the appropriate purchase price for the home and lead negotiations with the seller’s realtor. After reaching an agreement with the seller, your lender will assist you with the remainder of the process. When making an offer to purchase a home, remember to take into account any issues that arise during the home inspection process. The home inspection will typically uncover any glaring issues with the property. Lenders will require you to purchase homeowner’s insurance before closing on the home. Be sure to speak with a few different insurance agents to obtain the best price. Now that you have closed on the new home, prepare your move-in and get ready to celebrate with your family, friends and new neighbors. If you’re serious about getting the best interest rate, click on the button.